After our visit to the Ukraine-Kyiv Pavilion, we headed to the land of the rising sun – the Japanese Pavilion! This pavilion draws a crowd! Both the food line-up and the seating for the show are in the same area. Because of this, patrons can line up for food without missing the entertainment. Get here early, because the tables do fill up quickly. There is also overflow seating at the sides that were filled at our visit. The crowd also travels down to the cultural display so make sure you leave extra time before or after the show to tour around! The basement has both children’s activities and the cultural display. 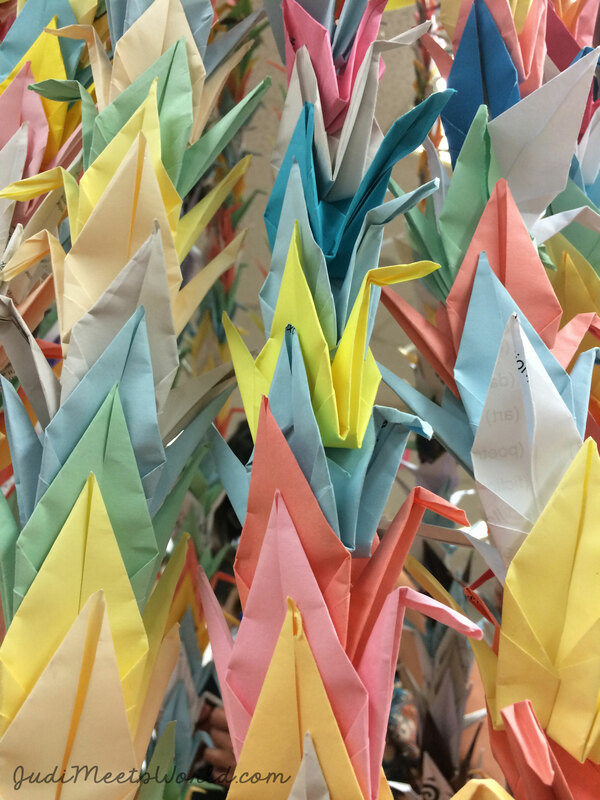 A big draw are the silk kimonos on display, as well as the origami paper cranes. The Manitoba Kendo Club was present for demonstrations, questions, and an up-close look at their gear. Booths sold souvenirs and provided information about ongoing events in the Japanese community. Here, you can also purchase a fan and get your name written on it in Japanese calligraphy. We did not get a chance to eat at this pavilion but a few popular menu options are the sushi and chicken teriyaki. Kakigori, a shaved ice dessert, is also a favourite way to cool down on these summer days visiting pavilions. Before the show began, the Manitoba Kendo Club performed demonstrations with commentary of the rules, strategies and history of the Kendo tradition. The show’s MC, Jesse Miki, was animated and quirky in the best of ways, engaging the audience in between acts. The Aurora Dancers had two beautiful numbers demonstrating the grace and elegance of Japanese culture. Singer Kazuko Magara, who had immigrated to Canada 10 years ago, sang a beautiful song called Everything. The finale that brought the house down was by Hinode Taiko with their traditional Japanese drums. In addition to traditional songs, they performed contemporary and original numbers. Watch out for that sneaky dragon that likes to make his way into the audience and visit! I really appreciated how different generations of volunteers all spoke the Japanese language – a real testament for the preservation of culture in a Canadian context. This pavilion really connects patrons to the entire Japanese community. 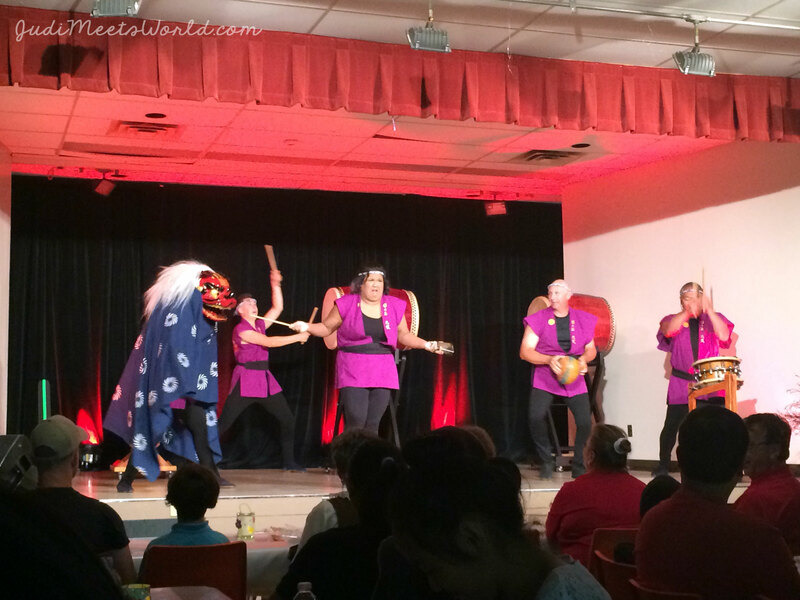 Jesse Miki gave a nod to an upcoming event next week by an Okinawan drumming group. Karakoro EISA Drum and Dance Show is next week at the Winnipeg Art Gallery on Saturday, Aug. 14th! 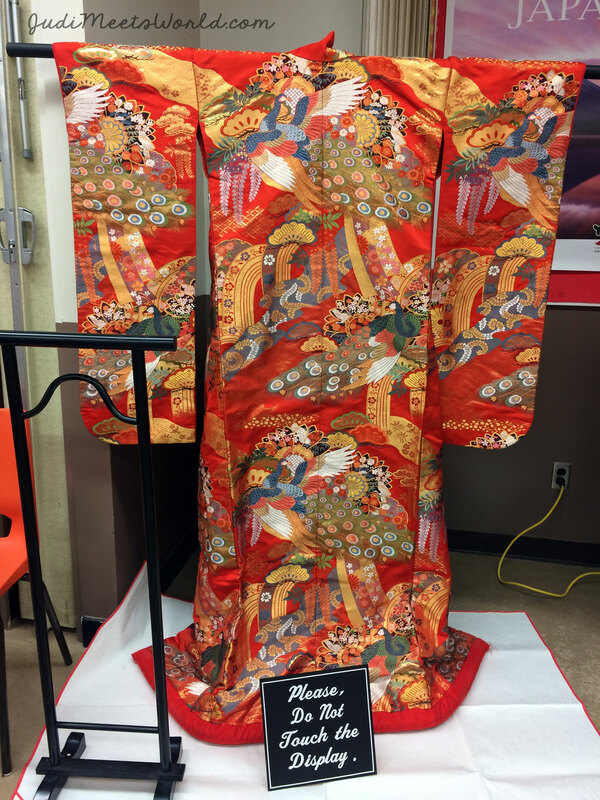 Tickets are $20 and available through the Japanese Cultural Association of Manitoba. Have you attended the Japanese Pavilion? Connect with me and let me know your highlights!